I received the boardgame Betrayal at Baldur's Gate yesterday, so happy about it! I wrote to the vendor and the customer service but it's the first time I've seen something like that and it's a real bummer because it was a gift. Someone experienced the same? I will let you know if someone answer and resolve my issue. 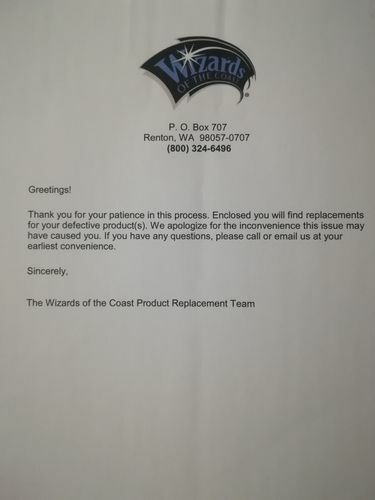 It's a clear error and they are a big company - I'm sure they will send you a replacement. Give them a week, if you get no response keep trying. Some companies take a while to process these issues but in my experience they have all sorted the problems eventually. The replacement has arrived today! Thanks Jeff & Jeremy from the UK staff, it has been a really fast and responsive customer service.